Hello! 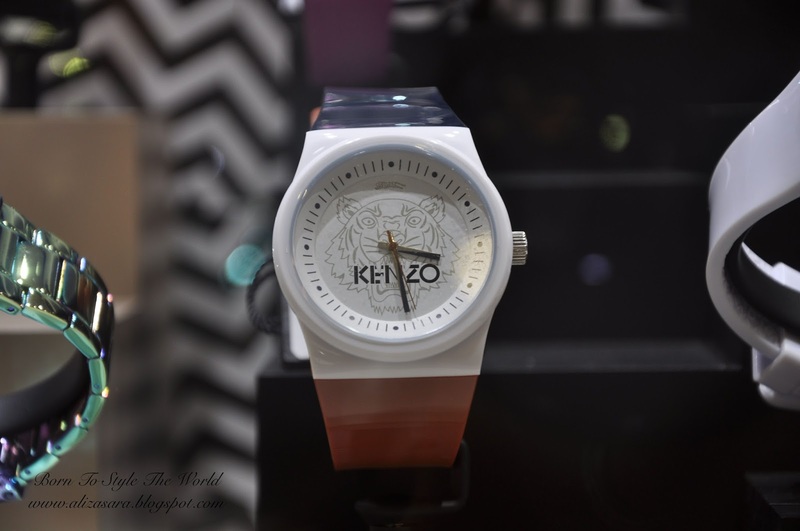 I don't think theres much introduction that would be needed to explain what Kenzo is. And if this is your first time hearing about Kenzo its 'the' brand to keep an eye out if you're a fashion enthusiast. And the trade mark of Kenzo would be the famous for their 'tiger head' as seen in the banner image above, and from my opinion, they always have distinctive designs in fashion. 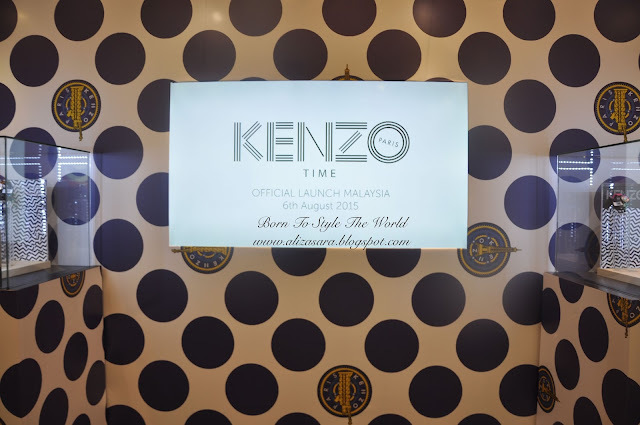 So, on the 6th of August 2015, International Luxury Group has decided to announce the appointment of a.d. time sdn bhd as the distributor in Malaysia market for Kenzo Time! So be sure to head to selected Solar Time & Time Couture boutiques and check out Kenzo Time collection and prepared to be star-stuck with these eye-catching pieces, and definitely creating a statement of its own to distinguish itself from other brands of time pieces. Don't worry, i took tons of photos at the launch for you to check out the pieces yourself on my site. Some of their collection designs. There are a total of 4 styles which were launched, consisting of the 'tiger head', 'kenzo goes pop', 'kenzO' and 'Diz-Huit'. But if you ask me, i personally love the classic 'tiger head' which is an icon of the brand. But of course, each piece was designed in such a way to suit different personalities of fans. Laura Pang, who was present at the launch. 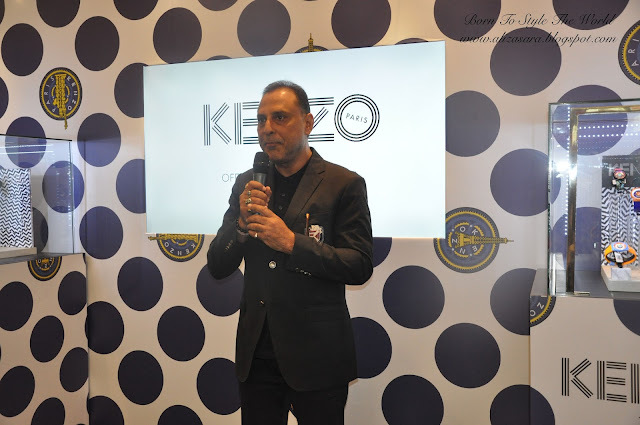 And Rajiv Mehra, who was delighted to explain the concept of Kenzo's time pieces. 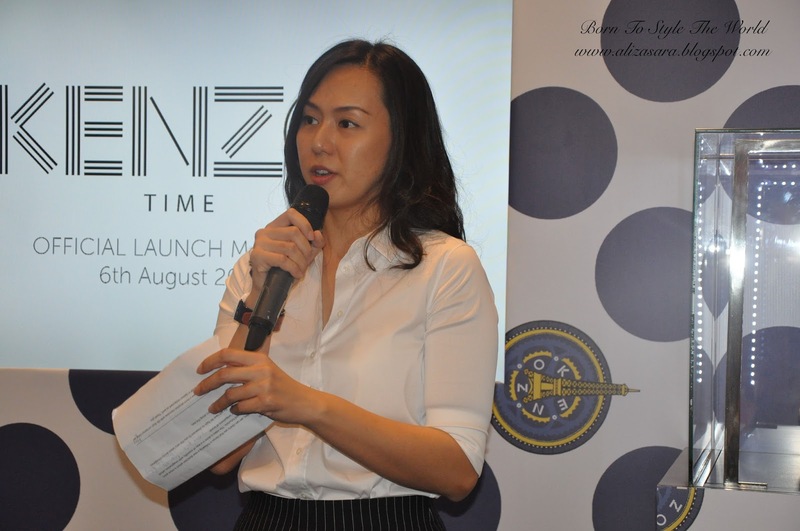 The event started off with a speech by Laura Pang who is the Marketing Manager at a.d. time sdn bhd, followed by another speech by Rajiv Mehra, who was the regional sales and marketing director for Fortune Concept Ltd. Rajiv was proud to announce the re-launch of Kenzo back into the Malaysian industry hoping to attract trendy consumers to appreciate these amazing designer pieces, to suit their individuality. Kenzo has his ways to four its place as both a creative and daring brand. The duo create iconic pieces season after season and reintroduced the spirit of 'Jungle Fever' with unquestionable modernity. 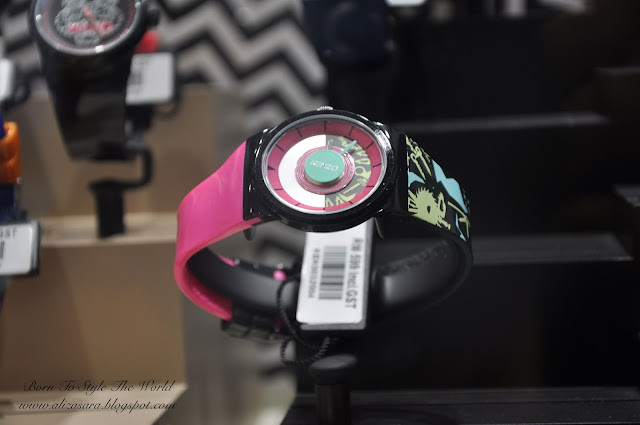 A line of watches where this collection is to dedicate to its icon, with veritable rainbow fun colours. Here are some photos, to justify what i mean. Some close up on the details. And a really interesting Bluish Greenish tone on the metal strap. Plastic strap with the Tiger Head centre. Loving the Rainbow tiger head. 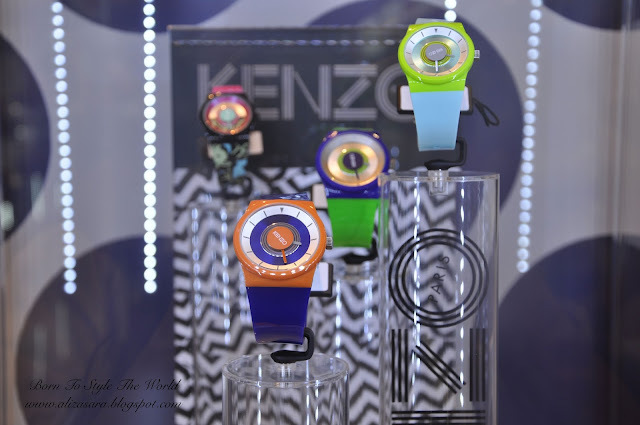 In the Kenzo Goes Pop collection was inspired by an explosion of colours! One special feature is the Rotating Kenzo Disc in the centre of the dial. 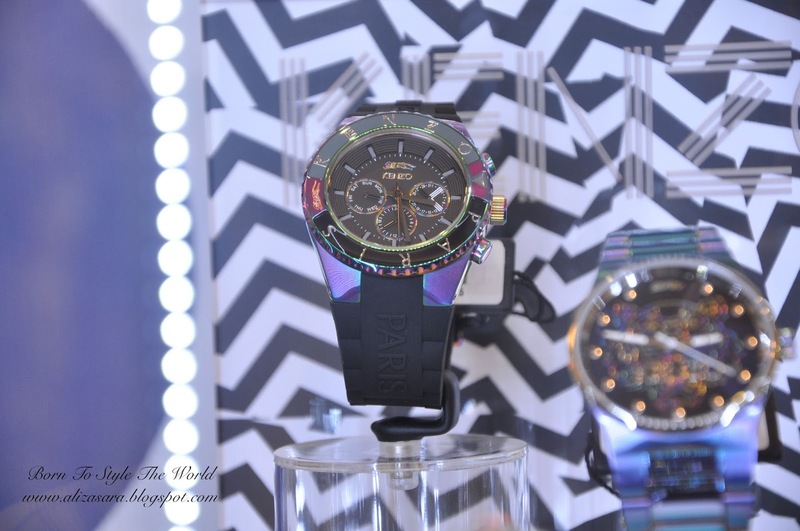 It also features five models with a diameter of 36mm as well as five models measuring 42mm in Diameter, All housed in a Synthetic case and attached to a synthetic strap. There are 2 watches featuring a monster print on the dial and strap, alluding to the abstract topic of pop art. The abstract design of the Pop collection. 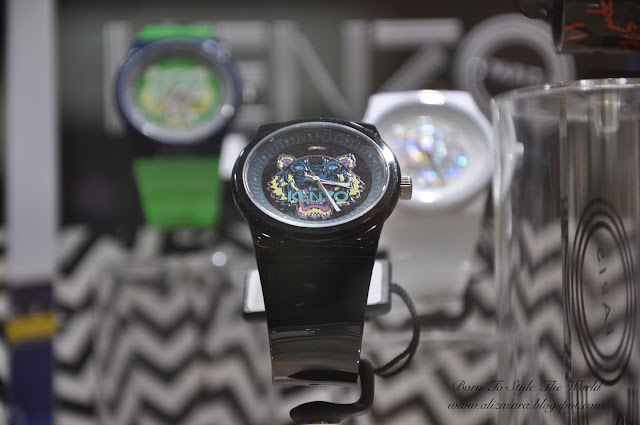 As its name suggests, the letter 'O' takes centre in Kenzo's latest line of watches. Thus, the dial of the 'Kenzo' displayed as a perfect circle. The cases are all about colours which are an ion-plated rainbow. Changing bt the second, they enliven the wrist with a unique play of colours and light. 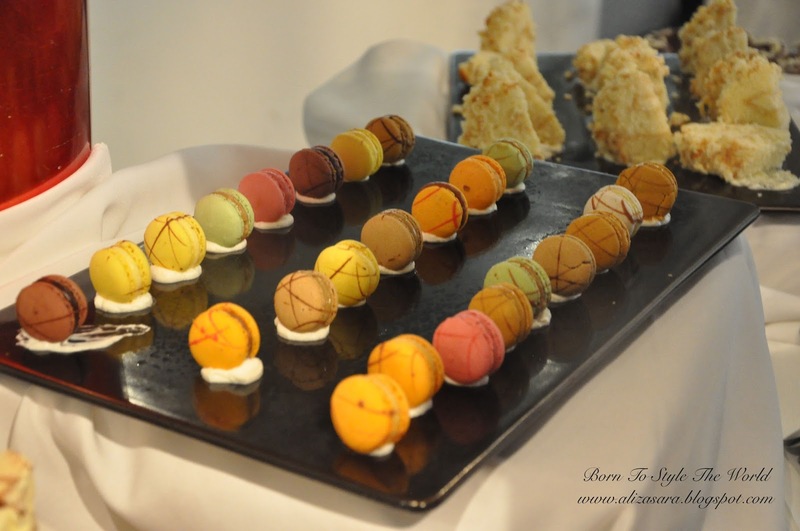 This is an explicit specialty of the parisian house. 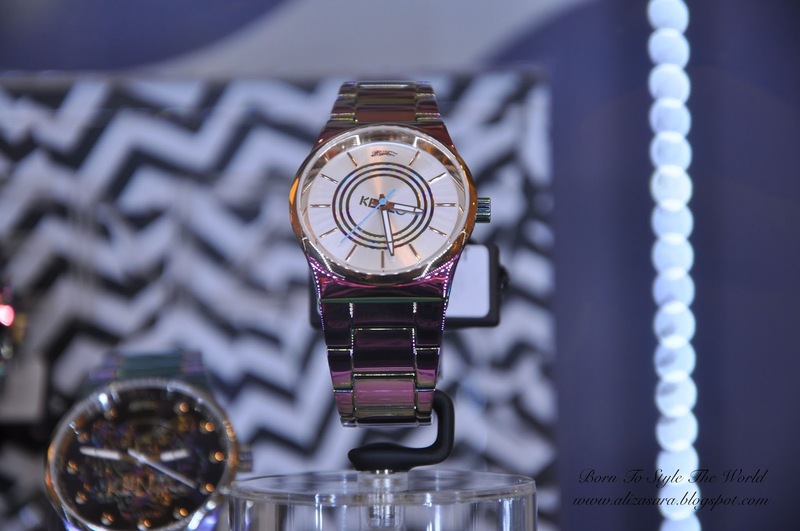 There are 2 models, one featuring leather bands and the others are attached to metal straps. 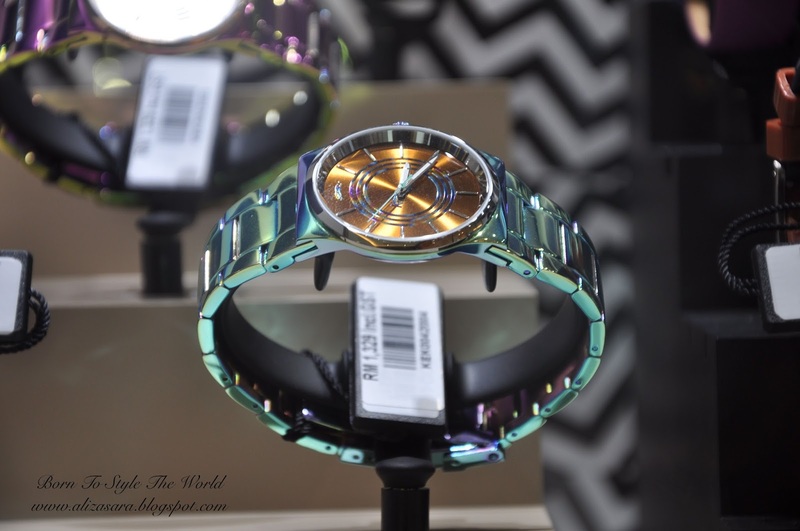 The KenzO emphasising on the perfect circle centre. The KenzO with a combo of interesting shades of colours. And the last collection would be a slight touch of history, going back to the year 2009, where Kenzo's Headquarters moved into their new home in Paris. The building itself welcomes the revitalised soul of the brand that symbolises modernity via a unique and innovative vision. 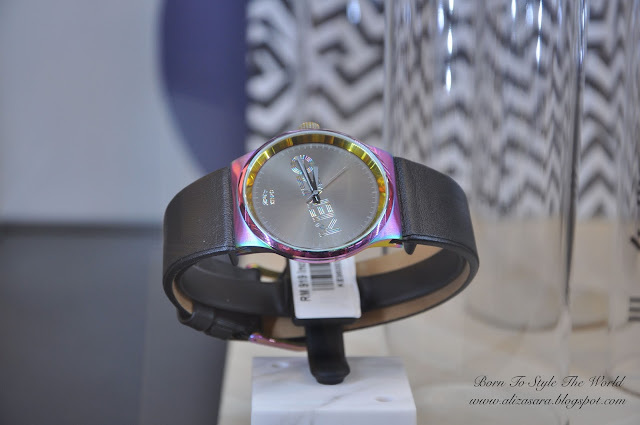 In this collection, it was based on the collection of bags 'Dix-Huit' (18) , which was infused into these timepieces from enlightened face, a graded slantand a leather bracelet which melds discreetly and elegantly into this collection of watches. A representational of a classic touch. Leather strap version of the Dix-Huit collection. 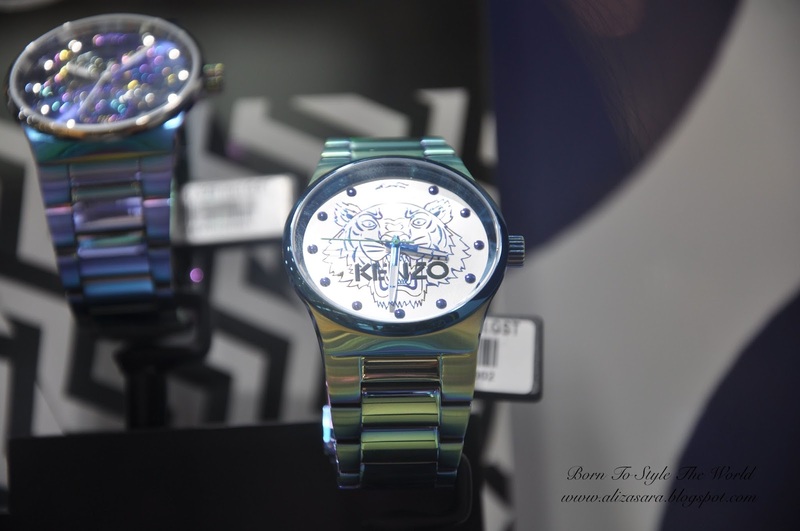 Please note that these are not photos of the entire collection, so be sure to visit Solar Time & Time Couture boutiques to check out other colour combo's and design of Kenzo Time, to personally suit your character. 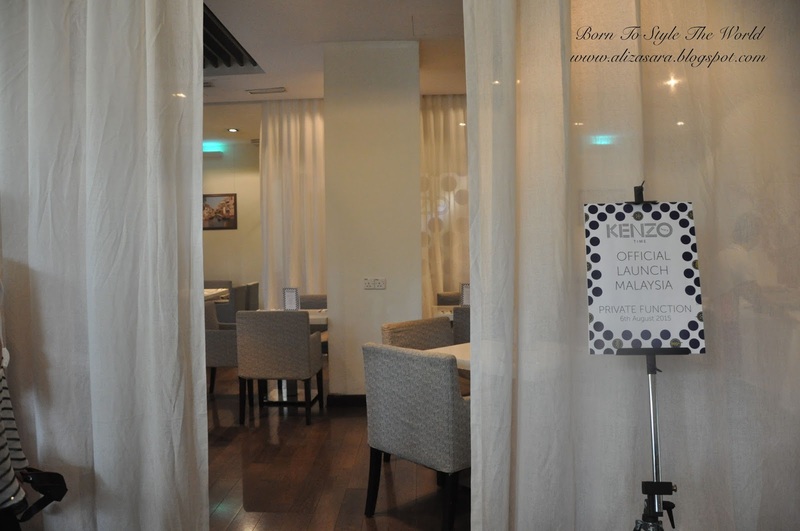 The event ended with Hi Tea with the team. 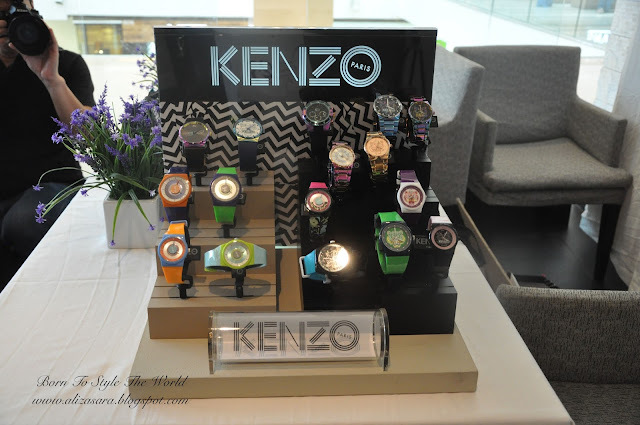 And the event ended with High Tea with the whole team to celebrate the re-launch of Kenzo timepieces. Definitely honoured to be a part of such an amazing event and I shall take this opportunity to thank a.d. time sdn bhd and Fortune Concept Ltd. for having me at the launch of this brilliant designer (if you're reading this). Well, if you have any question, of not hesitate to leave a comment below or if you definitely know what's your favourite design, why not let me know as well cause i would love to see which would be your favourite piece. It's about time they came out with a new line of nice watches. Kenzo reminds me to my kenzo flower perfume my ex boss presented me 10 years ago. 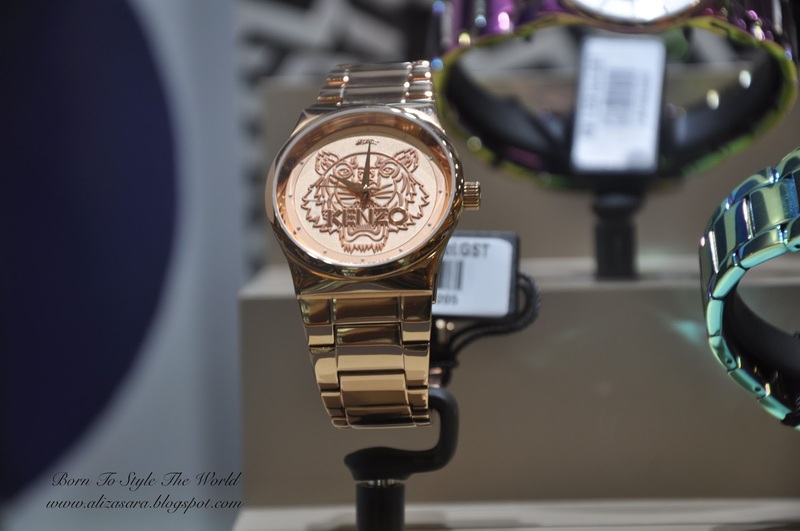 Kenzo watch? WTH! it look so uniquely beautiful. nice design! wow didn't know there is this brand, love the pics above. Need save money for a watch. 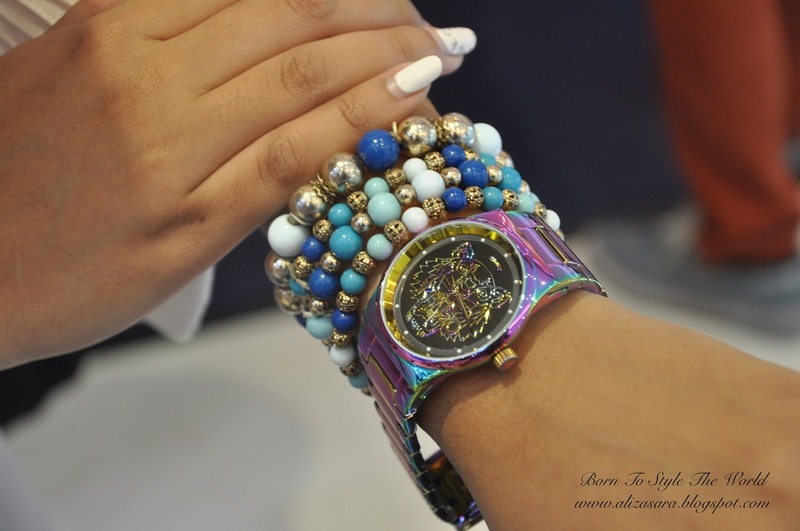 Such a beautiful collection of watch! I like it! Stylish! 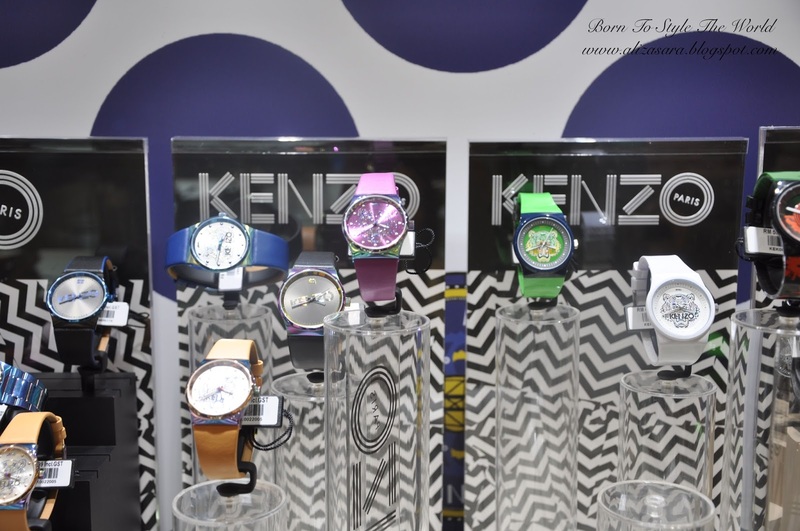 Yes to Kenzo watches! It's edgy and so much of personalities. Not a fan of the tiger head but that rose gold!! *swoons* the watches do look exquisite! The name "Kenzo" sound familiar but I can't seem to recap anything about them.. hmmm... Thanks for sharing ya! 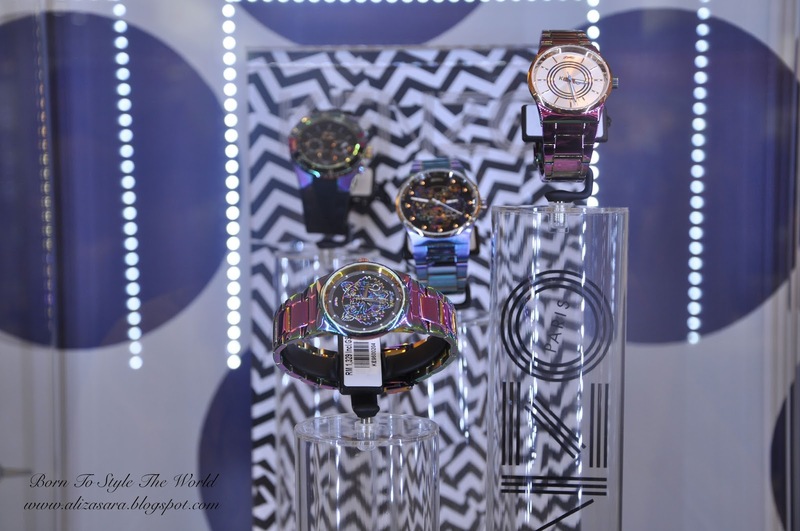 I love Kenzo watches, they are so chic if you pick the right style. KEnzo watches are so flashy ! :p Like the colours..